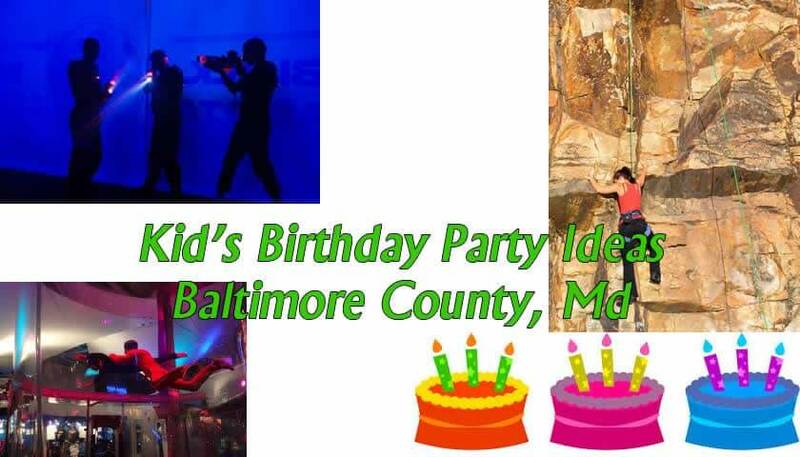 Are you looking for some ideas for places to have your child’s birthday party in Baltimore County? 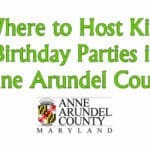 If you need ideas, here is my list of birthday party places around Baltimore County and nearby in Howard County and Anne Arundel County. With each idea I try to include links to Amazon.com for some ideas for party favors and sometimes educational gifts that go along with the party theme. Looking for some great birthday gift ideas for your girl or boy? See my list! Laser tag (Agest 6+) – Red Zone Adventures in Lutherville is a great place for a fun birthday party. Although alot of kids have laser tag birthday parties–there is a good reason. They have a great time every time! 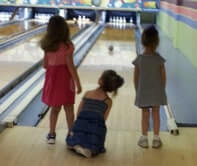 Bowling (Ages 8+) – Bowling parties are a great idea for older kids. The younger ones who may have trouble handling the ball will enjoy it less, and may get frustrated, even with bumpers in place. I’d definitely, strongly recommend using a duckpin alley because the balls are smaller and lighter so it’s a better venue for birthdays, especially for the younger kids. There is one in Parkville that offers kid’s parties. Movie parties (Ages 4+) -Kids love going to the movies. Most people don’t think of it, but you can host a great party at some movie theaters. A great example in Balt. 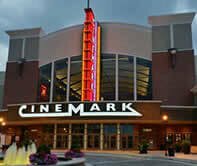 County is Cinemark in Towson. The theater has a party room, and if you have twenty or more guests, you can even do a private movie screening. Pretty cool! With the right movie, this party works for any age, and it’s definitely a great party idea for toddlers. Pool Parties – Indoor and outdoor pool parties are always fun for kids of any age. If your child likes swimming they’ll probably love the idea of inviting their friends to a swim party. There are lots of options for outdoor parties in the summer, but winter/colder months will require some research. As far as I know, your best bet in Baltimore County would be the YMCA, for example I know that the Y in Catonsville offers birthday parties, but I am not able to find a page for this on the website. Otherwise, you may need to consider places like the Columbia Association swimming pools in Howard County. Gymnastics Parties – These parties tend to work out great — especially for toddler birthdays and for other younger kids. Everyone has fun running, jumping, and playing on gymnastics equipment, not to mention it’s great exercise. There are lots of gyms that offer birthday parties in Baltimore County. For example Rebounders in Timonium offers great parties as does Gymboree on Rossville Rd. Indoor Parkour – Kids love to climb. The Alternate Routes gym in White Marsh takes it to the next level with indoor parkour birthday parties. Kids will train in a simulated urban environment to overcome obstacles. In short, they’ll have a great time getting worn out climbing and jumping. Sure to be a great birthday party. Chuck E Cheese’s – I am not the biggest fan of Chuck E Cheese, but I know many families like it. 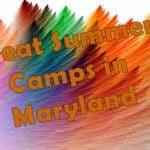 There is a location in Catonsville. Token prices are low—maybe around 20 cents each depending on which package you get. Looking for some great gift ideas for your girl or boy? See my list! 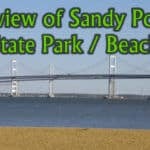 Escape Room Party – There are a few escape room locations in the Baltimore area. The one I have experience with is Breakout Games (Timonium and Columbia). They offer several types of games. I am told that the best choice for kids is Museum Heist. They have no party room, and there isn’t really a group rate. You can just visit their website and purchase the number of tickets you need. Please note that you have to have an adult in the party and the maximum number of people is 8. So the most you can have is 7 kids. Still this is a great party, especially for older kids (Younger kids might find it frustrating rather than fun). Fencing (Ages 8+) – I am not sure if there is a fencing club in Baltimore County, however in Baltimore City there’s Chesapeake Fencing Club and then there’s the Baltimore Fencing Center in Columbia in Ellicott City . Both of which have a great facility for unusual birthday parties. Guests learn the basics of fencing and can get a little practice in at the party. 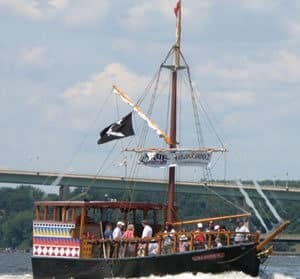 Pirate Party (Ages 7+) on the Urban Pirate boat that sails from Baltimore Harbor. Nature Center Parties (Ages 2+) – There are several choices around Baltimore County for Nature Center birthday parties. One of the best is Irvine Nature Center in Owings Mills. They have an excellent offering at a reasonable price. Craft Parties (Ages 4+) – There are lots of options for this. One easy one is to have your party at either Michael’s (for example the one in Owings Mills/Reisterstown) or JoAnn Fabrics (stores in Parkville and Cockeysville). Pottery Parties (Ages 6+) – Paint your own pottery is a great idea for a birthday party. Kids in kindergarten and beyond will enjoy paint parties with their friends. In the Baltimore area, one of the best places is in Catonsville — the Pottery Cove. iFly (Ages 3+) An amazing new venue in White Marsh! Possibly the most unusual idea on this list, indoor sky-diving would make for a wonderful birthday party. Your boy or girl will never forget this birthday party! Be warned, this is a bit of a pricey option, at the end, each child will probably only get maybe 4 minutes of flying time. Rock Climbing (Ages 5+) – Earth Treks has an amazing facility in Timonium that makes a wonderful place to host a bdp. AmuseToys (Ages 2-6) In Pikesville (Baltimore County). Parties in the lab are great fun. Indoor Playground (Ages 3 – 7) – Kiddie Crusoe might be a good option for younger kids. Large indoor playground & party room. Roller Skating (Ages 8+) – There are three rinks in Baltimore County that all offer roller skating birthday parties. For example, Hot Skates in Woodlawn and Skateland in Putty Hill offer a party that is currently under $100. Rent a pavillion at local Park (Ages 2+) The tire park at the Hilton area of Patapsco State Park. This is a two acre playground made from recycled tires. Loads of fun and the nearby pavilions for a barbeque or just to hang out and do a craft. This is an inexpensive party, and great for the warmer months. Fire House Birthdays (Ages 3-7) Many people don’t even know that you can host a birthday party at some of the fire stations in Baltimore County. I know quite a few kids who love fire trucks and love birthdays…and they get some fire safety tips too! My only caveat would be that an emergency could potentially cut the party short. As an alternative, there is a Fire Museum in Towson that provides a pretty good experience. A great gift to go with this birthday party would be a pair of walkie talkies. 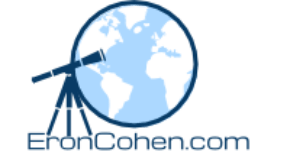 Here is one suggestion for a pretty good pair–but please read my caveats about them in my gift ideas for brainy kids blog post. Zoo Parties (Ages 1+) – Wherever you are in Baltimore County, the Maryland Zoo isn’t very far. They offer great birthday party packages, and it is sure to be a great time for kids of all ages. Toddlers will really enjoy looking at all the animals, and even 8-year-olds and 9-year olds will have fun. Aviation Museum Party (Ages 5+) – This is a bit of a different kind of party. The airplane museum in Middle River offers birthday parties that are interesting, educational, and fun. Port Discovery (Ages 2 – 8) (Baltimore City) – Always a popular place to take kids for any reason, Port Discovery makes a great place for a birthday celebration. Depending on the package you get, this can be a rather pricey place to hold your party, and you really need to plan ahead because they need 2 months notice in most cases. Still, this is sure to be a fun, memorable experience for your child and their friends. Granite Rose Tea Parlour (Ages 11+) (Granite, Md in Southwest Baltimore County) – If you’re thinking of an especially fancy birthday party venue, this might be the place for you. Hosted in an authentic Victorian house, kids will enjoy attending a “real” tea party. I think this would be a great party for 11-year olds, and older, but if say you are looking for ideas for 7-year olds…perhaps extra-well-behaved 7-year-olds, they might also find this party interesting. Trampoline Party (Ages 5+) (Timonium) – SkyZone is the place to go for a trampoline party. Great atmosphere, lots of options including “sensory” jump hours for quieter time for kids with special needs. I hesitate a bit on this one, because I am concerned about safety issues. Having said that, SkyZone does a pretty good job of making trampolines as safe as possible. Hopefully this list of party ideas helps you out. If you can think of any places I missed, please comment below.